Eric Jacobus contributed greatly to bringing the action of God of War as Kratos to the PS4. He is not only an amazing stunt performer, actor, fight choreographer, and stunt coordinator but also a passionate team member full of creative ideas. The team here at Sony Santa Monica were honored to work with him to evolve the combat fidelity of this franchise and bring it to millions of God of War fans. "Eric has a rare ability to choreograph and perform action for the global stage. Well-rounded and versatile, he's the embodiment of East-meets-West in the action world." "[T]here’s people who deserve more recognition than what they get. ... [T]he stunt-people like Eric Jacobus are producing some incredible independent content of their own." "Eric Jacobus you are a damn beast! Thank you for making all that moves in the realm of stunts and combat absolutely freaking AMAZING! I hope this is the beginning of a long and great collaboration! Everyone should watch this!" "I was very sure the one to collaborate with for the action of "The Man Who Feels No Pain" would be movie fans and people who want to be students of the art for life. No point reaching out to to jaded masters. In Eric I found a passionate Martial Artists and keen movie observer. Incredible Indie heart and mad skills." "Working with Eric Jacobus on multiple titles has been enlightening in the videogame world. 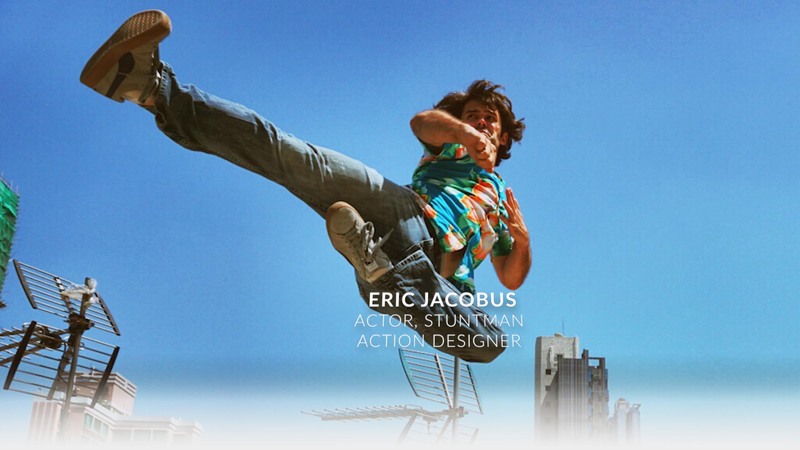 Not only does he understand the process of performance to data input to the various forms of animation editing, Eric is more than capable of offering ideas in exciting action sequences." Sign up to receive updates about Eric’s projects and appearances.